This new feature must be configured by your treasurer before it will be available on your menu. Once configured, adults will see a new item on the My Stuff → My Money submenu: Request Expense Reimbursement. This will allow them to submit requests for expense reimbursement to the treasurer for approval. Requests for reimbursement must always be linked to the event for which they were incurred. Credit My Account to have the treasurer issue a credit to their account, or that of a family member, for the amount of the expense. Write Me A Check to have the treasurer make a direct payment, typically in the form of a check. An image of the receipt may be attached to each request. 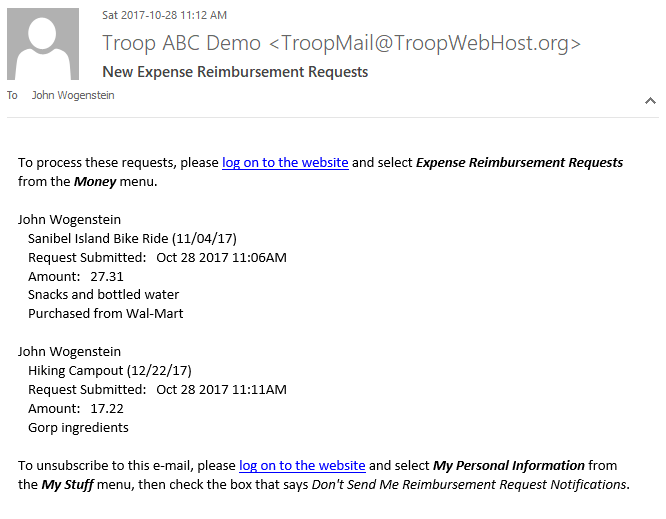 The treasurer will receive an e-mail notification for new reimbursement requests, as shown below. 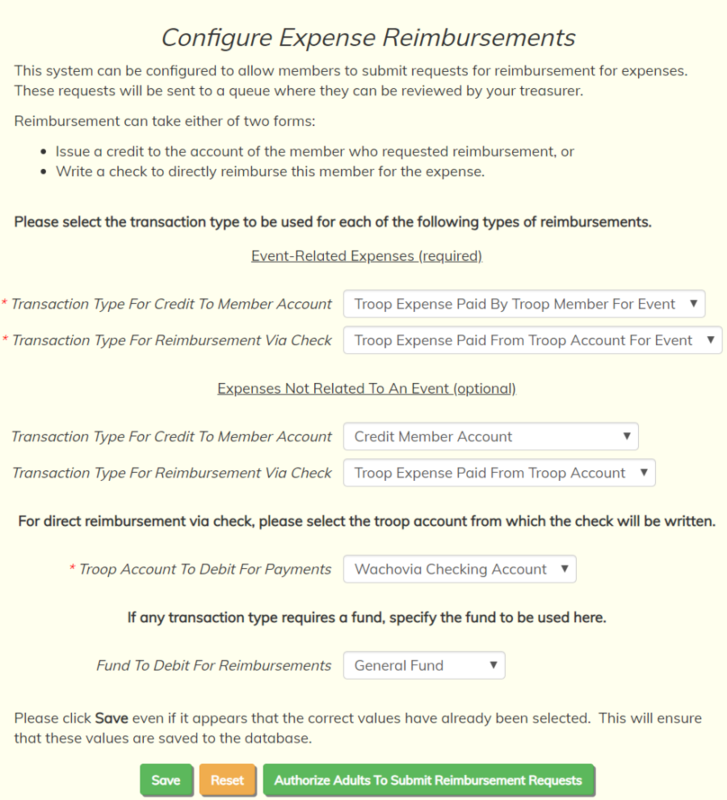 The treasurer may then approve or reject these requests by going to Money → Expense Reimbursements, as shown below. Click Update to approve or reject the request. If the request is approved, the system will immediately generate a corresponding monetary transaction with the receipt (if any) already attached. As noted above, this feature must be configured before it will be available. 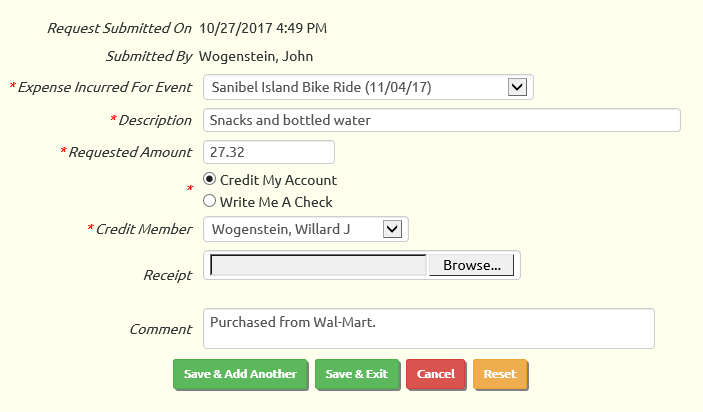 This can be done from Site Configuration → Money → Expense Reimbursements. This is where you select the transaction types to be used for both types of reimbursement. 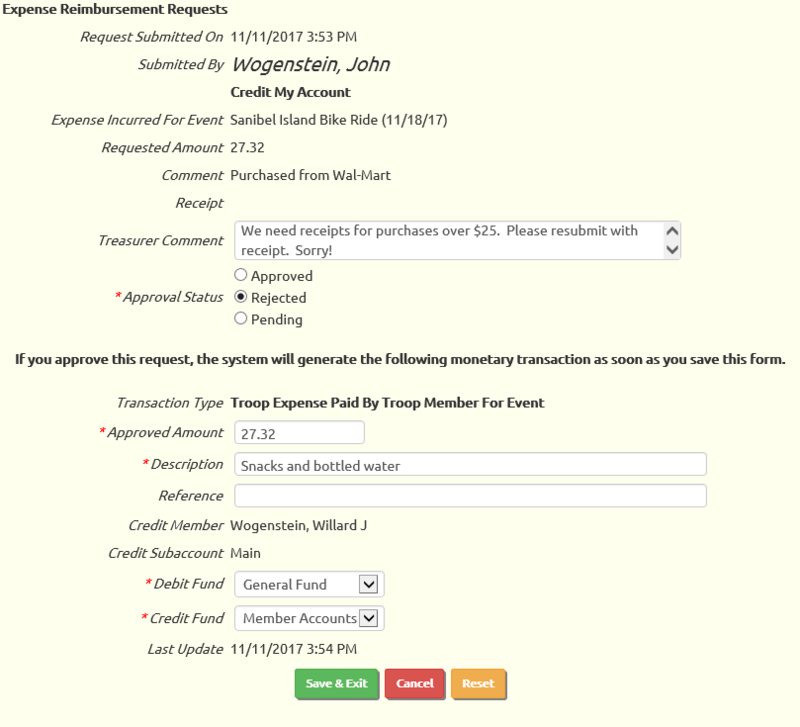 You also select the troop account to be used for direct payments and the fund to be used as needed. 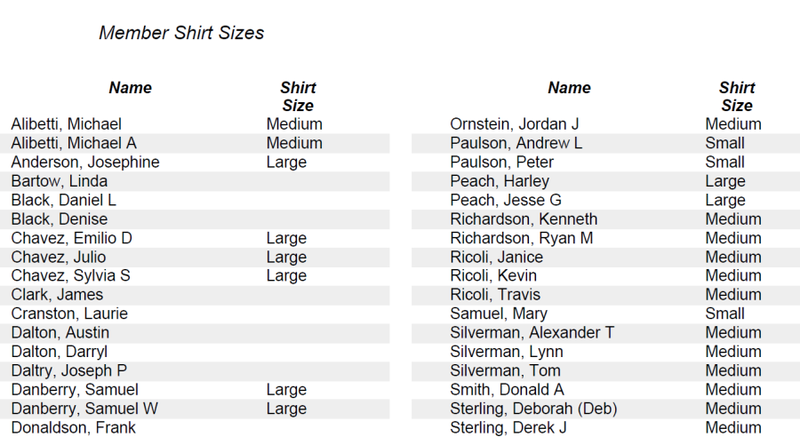 A new report lists the shirt sizes for every member of your troop, crew, or pack. 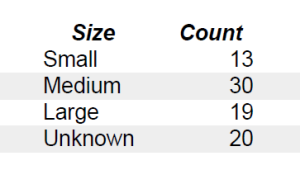 At the end of the report you'll see a summary showing the number of members with each shirt size. The default sort sequence of the Take Attendance page has been changed to make it easier to use. The members are now grouped by their current status, with the YES entries appearing at the top, following by UNKNOWN, and ending with NO. You can revert to the old sort order by clicking on the "Name" column heading. The Search page has always provided a lot of ways to search on the value of a given field. You can find all rows where a field contains a given value, or is greater than a given number, or is between a range of dates. But what if you want to find those records that simply don't have a value in that field? Is Empty lets you find all rows where that field is empty. Not Empty lets you find all rows where that field contains a value. So, for example, you can find all merit badges in progress by searching on Date Earned "Is Empty", as shown below.